I believe that all parents should have access to good quality,accurate and timely breastfeeding infomation and support, wherever they are in the world. I work alongside families, providing the information and skills that they need in order to navigate their way through their breastfeeding journey. 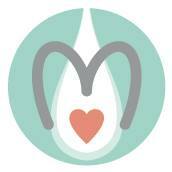 Helping families and professionals navigate their way through the world of breastfeeding. Are you struggling with breastfeeding, in pain or have a baby who can’t latch? May be you have not had the support you need so far in your breastfeeding journey and feeding your baby isn’t at all as you had imagined. Perhaps you are expecting a baby or babies and need some questions answering before the birth. 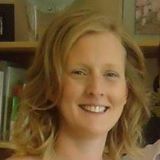 I am an International Board Certified Lactation Consultant (IBCLC) with 17 years experience as a Registered Children’s Nurse. I use my knowledge and expertise together with compassion and commitment, to help struggling babies and parents, and provide a holistic and professional service.. Please take a look around my website and if you you feel my services are just what you need to get back on track, then get in touch. I look forward to meeting you and your little one/s!